Trulli can be found scattered all over the Apulian landscape and have long been a part of the heel of Italy’s history. These quaint structures are truly intriguing, dating back to the 14th-century; many of these buildings have been transformed into luxury modern villas, meaning that you can rent them out for your stay in Puglia! If you’re wondering about the origins and history of trulli then read on! 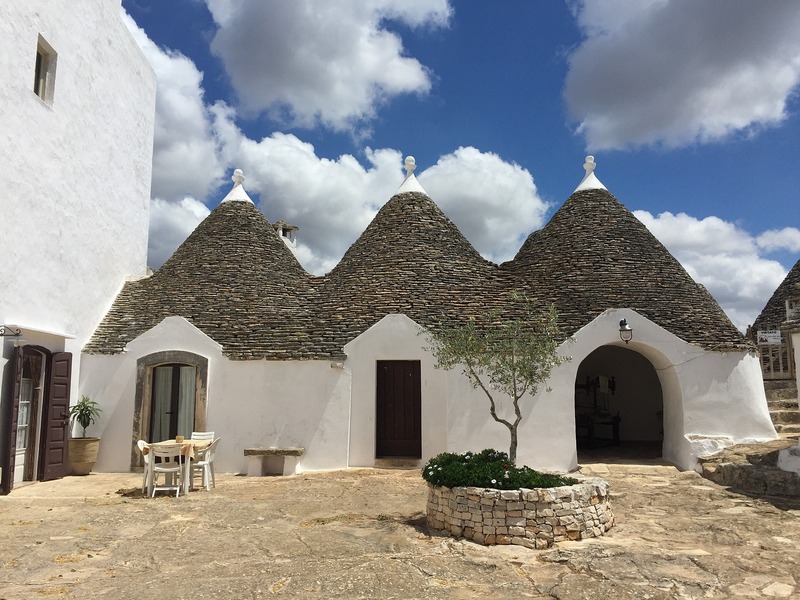 A trullo is a traditional Puglian hut, typically made from limestone. They have a very distinct cone-shaped roof, often decorated with white signs and symbols. They can only be found in the specific region of Valle d’Itra, with the largest concentration located in Alberobello, which attracts thousands of visitors each year. The plural of trullo is trulli. Individual trullo were typically used as a temporary shelter, whilst trulli in groups of three to five are typically more of a permanent living space, including a kitchen, bedroom and storeroom. Built in a dry stone way, without cement or mortar, the walls and roof comprise of several layers of limestone stones and slabs to create a watertight structure. What are the origins of trulli? The first and most popular version of the origins story is that as taxes in the region began to rise, landowners decided to build these delicate huts with a dry stone wall as temporary homes, animal shelters and produce stores. This meant that they could demolish their homes at a very fast pace when the tax inspectors were visiting the area, and later rebuilt. Some rumours even tell that skilled craftsman could build a structure sturdy enough to live in, but that could be turned to rubble with the removal of just one stone. The second story offers the explanation that there was a lack of wood in the region for building homes; forced to seek an alternative, the wide availability of limestone made for a popular choice for the creation of a living space. 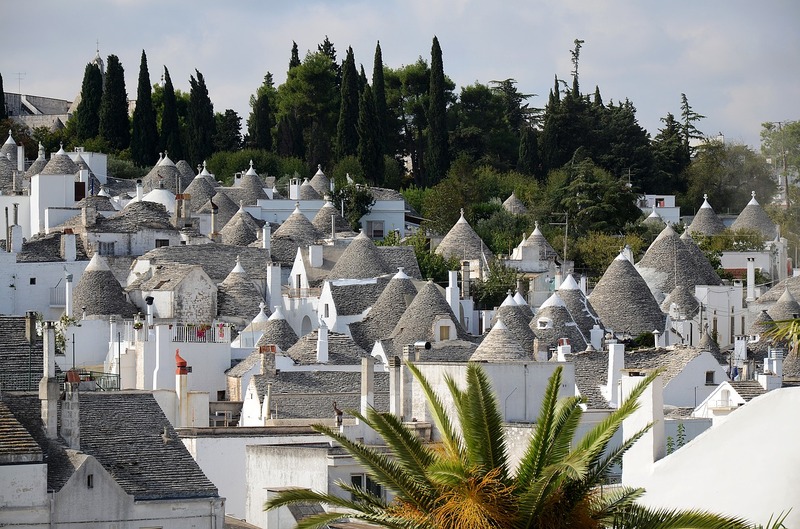 – Alberobello is regarded of one of 53 UNESCO sites in Italy due to the abundance of traditional trulli. – Although trulli were designed to be unstable, they’ve turned out to be anything but, as they’ve truly stood the test of time. – Trulli is one of the most popular villas in Puglia today, having been updated to include modern facilities and décor. Many of these properties are truly incredible and will make your stay one to remember! – The thick walls ensure that the indoor areas stay cool in the summer and warm in the winter. – To rebuild the roof of a trulli today would cost an estimated £15,000, having increased by 100% in the last two decades. – The word trullo, which is used today is derived from a number of sources, including the Greek word for a dome and the name has evolved over the years. – A trullisto or trullaro is the name given to stonemasons specialising in the trullo construction. – Despite being first built in the 14th-century, the ‘Golden Age’ of trullo was the 19th-century due to wine growing developments. They were a fantastic place to store the grape harvest during the warmer months as it provided shelter from the sun. 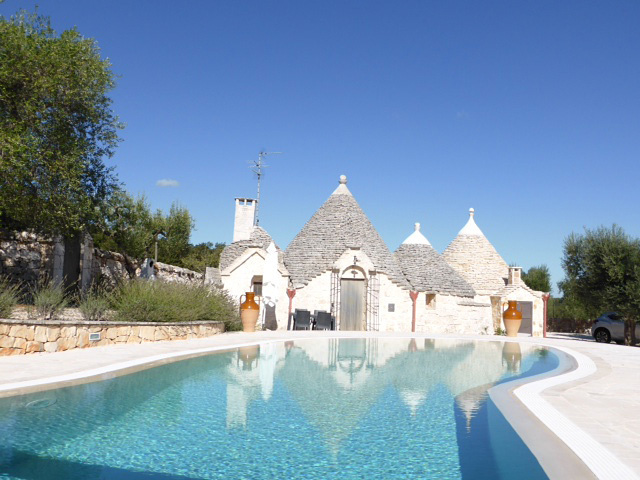 Are you interested in staying in a traditional trullo? Take a look at our selection of villas in Puglia to discover your perfect property, many of which even come with their own private pools!